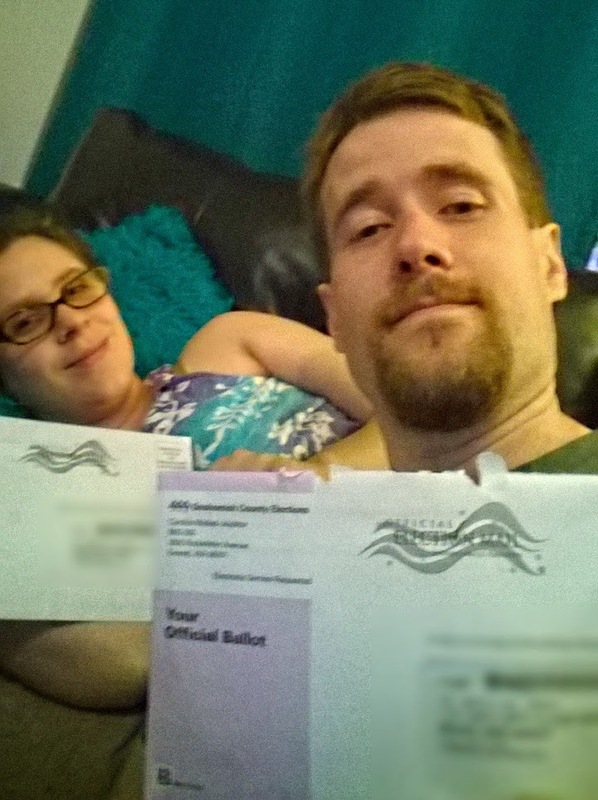 Lownewulf's Lair: My First US Vote! ... okay, so it's just a primary... for midterm elections... and neither senator is up... but still, DEMOCRACY IS HAPPENING! Don't spoil this for me. Washington is all vote-by-mail, which takes away a bit of the excitement of going to a polling station. Still, can't argue with the convenience. It is also a top-two open primary state - the process chooses two candidates to go into the general election without any regard for party affiliation. So far, I have on my plate: Federal Representative, State Representative x 2, State Senator, County Executive, and County Prosecuting Attorney. From what I can tell, US elections are both more fun and less fun than their Canadian counterparts. The US is a two-party system, while some Canadian federal elections have had as many as five meaningfully represented parties. However, despite the polarization of US politics, I'd argue it's actually less partisan. The legislative process is much more complex here, so legislation can initiate from many sources, and legislators can and do vote against party lines - so one party member is not the equivalent of another. For now, I'm still building my list of resources. Also, learning about Washington State - my studying for the naturalization test (and TV) helped build my knowledge of Federal civics, but left me clueless when it comes to non-partisan primaries, multi-seat legislative districts, and all the other fun quirks of Washington state government. My best resource so far has been Project Vote Smart. What differentiated it from others (notably govtrack.us and opencongress.org) was the details on non-incumbents, and the details at all level of government including State level. Other sites do very well at tracking current Federal congressmen, but it's hard to judge an incumbent when the challengers are unknowns. So, I'm taking a lot of notes, and hopefully figure out some sane decisions before the baby comes. In two years, I should have plenty of practice and be ready for the serious elections for President and others.